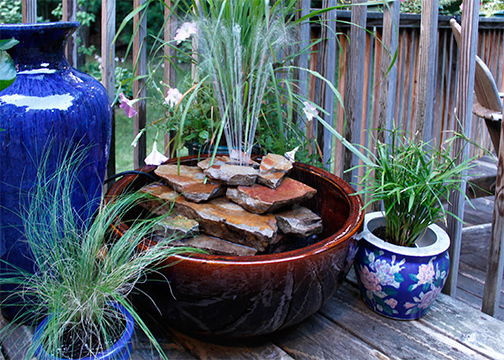 Fountains can add color, texture and the relaxing sound of water in a garden, or in this case, the corner of a deck. 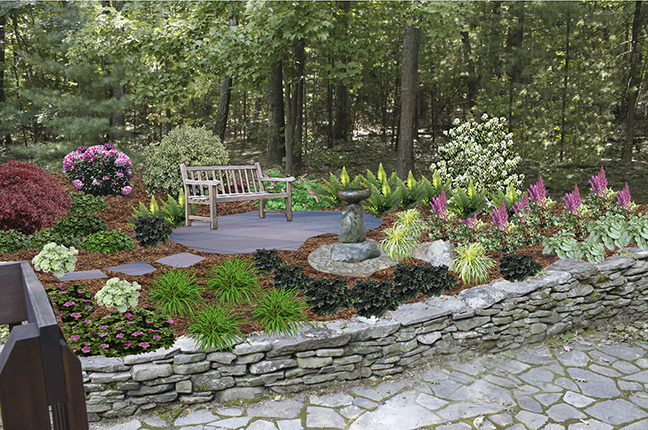 Adding pots of complimentary colors and plants such as grasses, annuals and perennials helps to create a focal point. The sound of the fountain can be heard from the adjacent porch area. Containers can be switched with the season to keep the look fresh and vibrant. Fountains can create focal points. ≈ Comments Off on Ready for Spring? 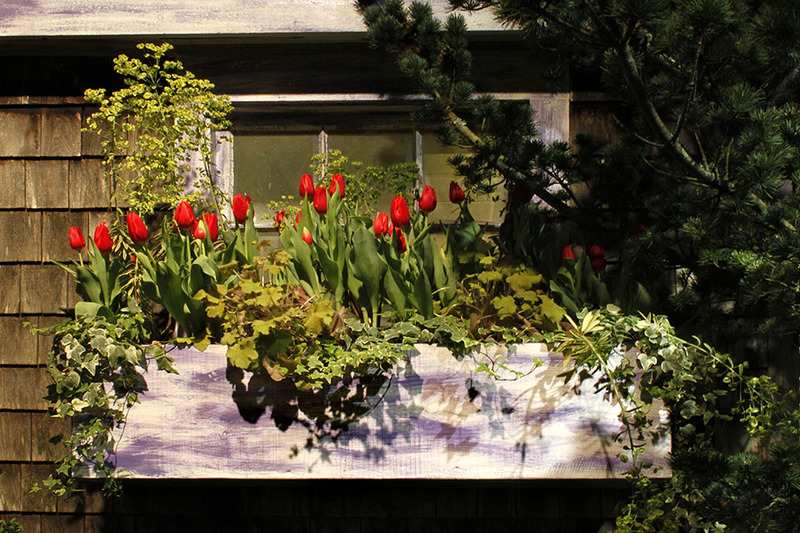 Tulip bulbs and ivy fill this quaint flower box at the Boston Flower show. 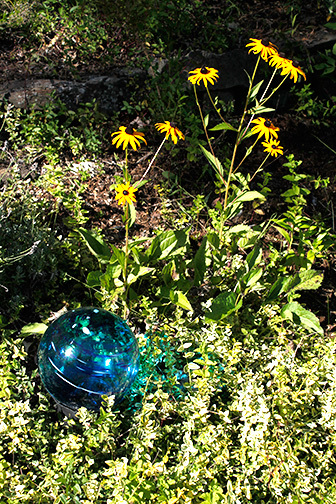 Four Season Design can help you create gardens that are low maintenance and stunning year round. 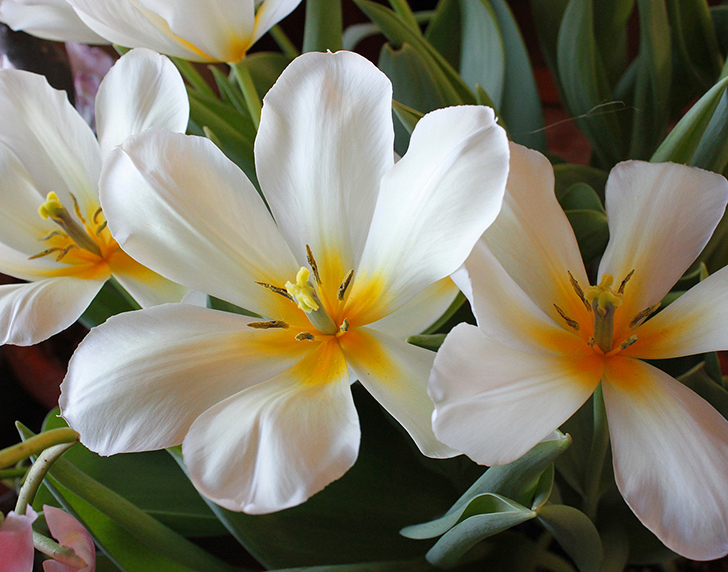 Combining deer resistant bulbs like daffodils and crocus give you an early start on a beautiful spring. Planted among perennials and ground covers, bulbs are an easy, inexpensive way to integrate color into your plantings for years to come. Time for the 2013 Boston Flower and Garden Show this week. Photo by Sally Turner. 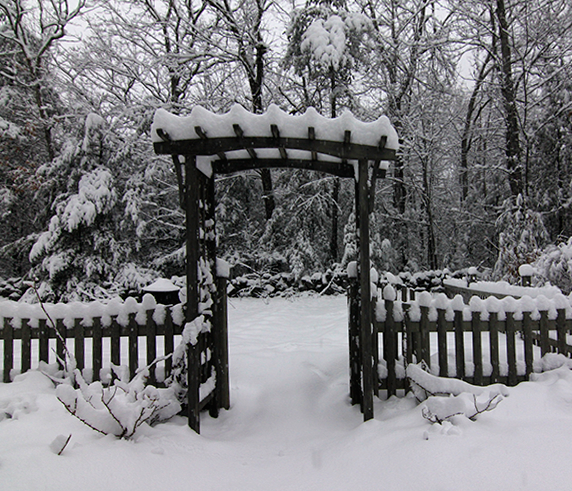 A garden fence and arbor create a beautiful focal point in the depths of winter. An old stone wall across the back of the garden adds another layer of interest year round. Combining different textures and leaf patterns creates interest without flower color. 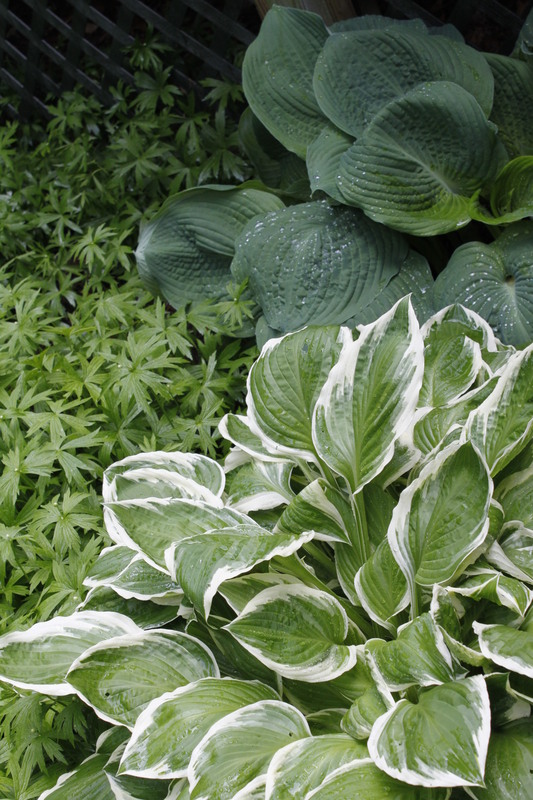 The combination of a large leaf Blue Hosta (Elegans) with a variegated hosta (Francee) and Anemone canadensis (Canada Anemone) brightens up a dark corner. 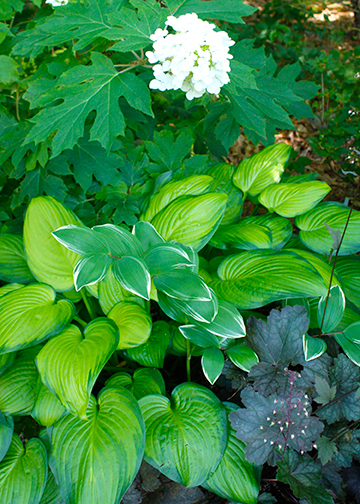 The lilac flowers of the hosta and the white flowers of the Anemone will add color in the spring and summer. Different textures create interest in a dark corner.